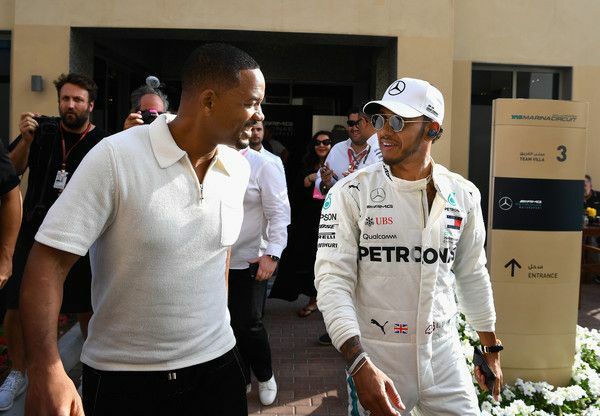 Will Smith Pulls The Ultimate Prank With Lewis Hamilton Before Huge Race + The Weeknd Cuts Show After Abu Dhabi Fans Rush The Stage + A-Rod Had J-Lo SHOOK On Thanksgiving! Will Smith is serious about checking off everything on his bucket list as he continues to celebrate turning the big 5-0! He already bungee jumped out of a plane, now he's trying to drive a racecar. 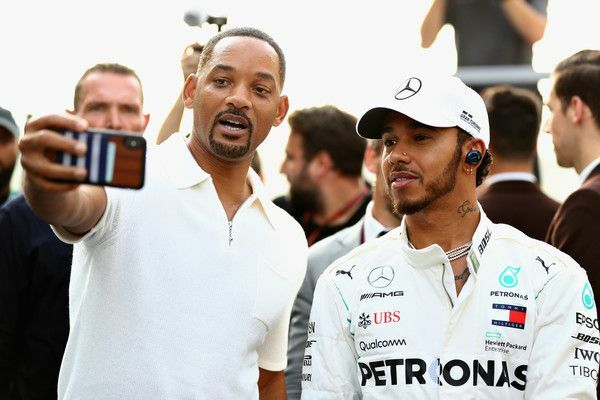 Over the weekend, the award winning actor/rapper popped up on his homie/racecar driver Lewis Hamilton to cheer him on during the Abu Dhabi Formula One Grand Prix at Yas Marina Circuit in the United Arab Emirates. And he was the LIFE of the party race. 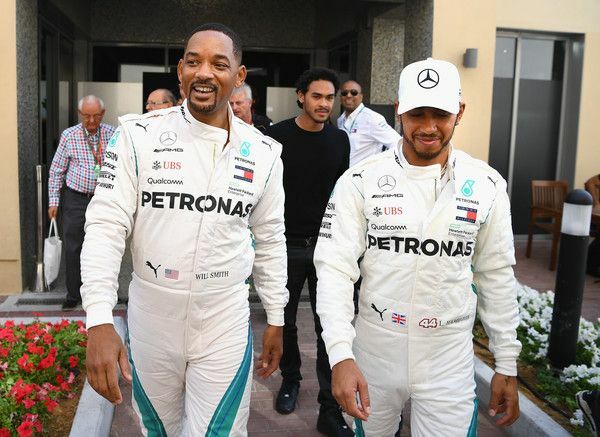 Literally minutes before everything kicked off, the "Fresh Prince" alum "kidnapped" Lewis to see if he could pass as the world champion driver in a hilarious skit, directed by famed filmmaker Michael Bay (Bad Boys). “Here’s the deal. This is a once-in-a-lifetime opportunity for me, man. You’ve already won, man. You've already won. Save stuff for other people. You black. I’m black. Ain’t nobody gonna know the difference,” Will said after tying Lewis up. "You better win!," Lewis yelled back as Will walked out of the door. No, Will didn't actually get behind the wheel in the race. Lewis made it in time and WON. Congrats! The Collateral Beauty star also waved the checkered flag for the last race of the season. 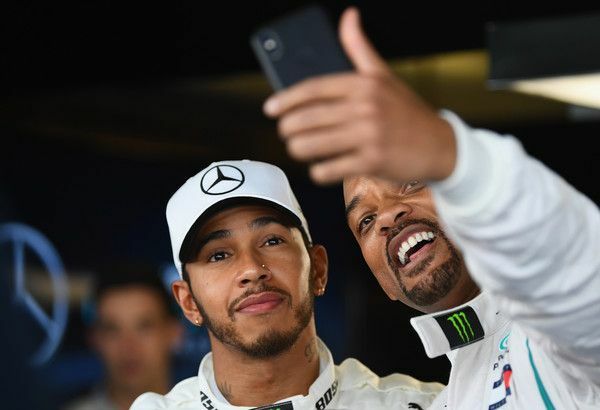 After the race, Lewis shared what it was like hanging out with Will before the race. 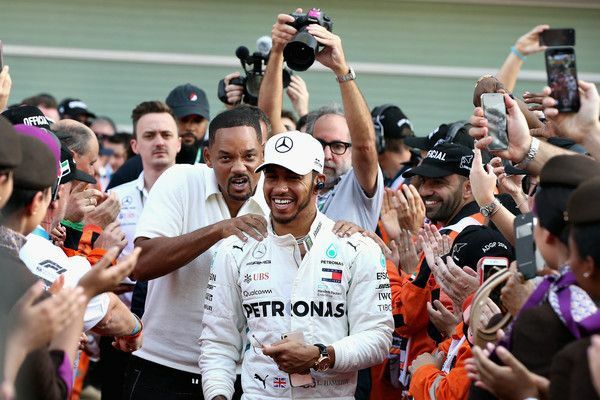 "It's been an unconventional weekend," Lewis told Motorsport.com. "Yesterday morning I was filming something with FIFA and Sony, and then this morning doing stuff with Will. 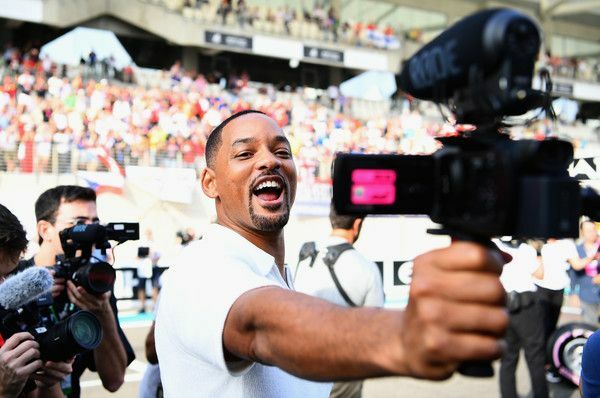 "Will is the original 'hype man'. He's hype. He creates a lot of energy. He's like a big brother to me, so we were doing some filming and stuff which was literally 10 minutes before we got in the car. We were doing some fun filming, which I never, ever do because that's usually the period of time where I get ready. So I was a little bit, going into the race, like, 'Jeez, I've completely changed my pattern', if there is a usual relaxing period. But I got a great start and then after it was really standard." They don't call him the "original hype man" for nothing. Gotta love it. The Weeknd had to cut his sold-out show at Du Arena short after fans rushed the stage. 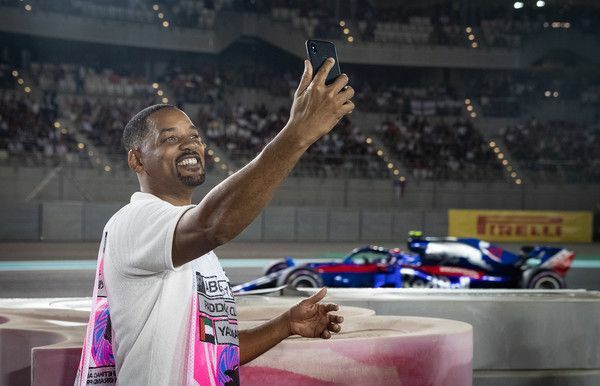 The R&B crooner was tapped to perform as a part of the the Formula 1 Etihad Airways Abu Dhabi Grand Prix when overzealous fans got a little too excited. “The show had to stop early because it was so dangerous," a source revealed to Page Six. "Fans were going insane outside breaking down barricades and storming toward the stage,” Page six reports. Wow. They said scenes of chaos ripped through the concert grounds. 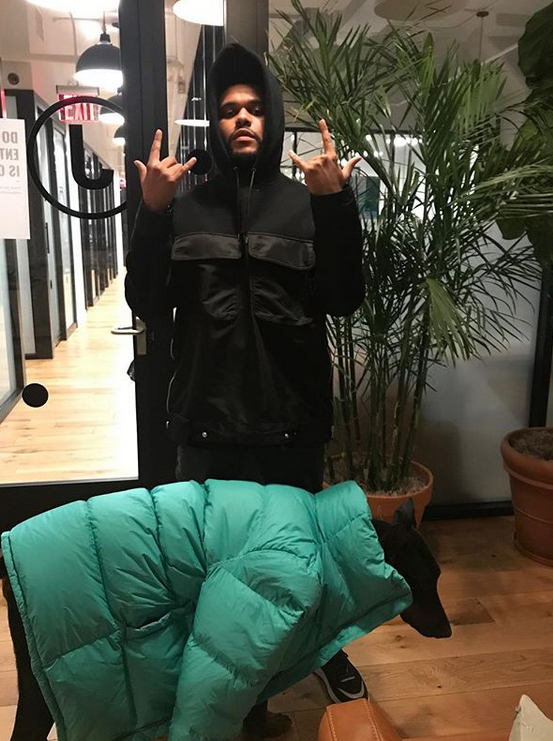 “Due to a large number of fans arriving simultaneously to The Weeknd concert, the gates were closed as a safety measure,” said the concert’s promoters. The holidays are all about family, friends, and fun! Alex Rodriguez knows a thing or two about it. With the help of Israeli mentalist Lior Suchard, the former Yankees star pulled the funniest prank on his girlfriend while they were having dinner with family and friends on Black Friday. I’m sorry WHAT??!!! @liorsuchard is the most amazing mentalist!! We had the most amazing time watching him do what he does the way only he can!! If you don’t know about him... you need to! !